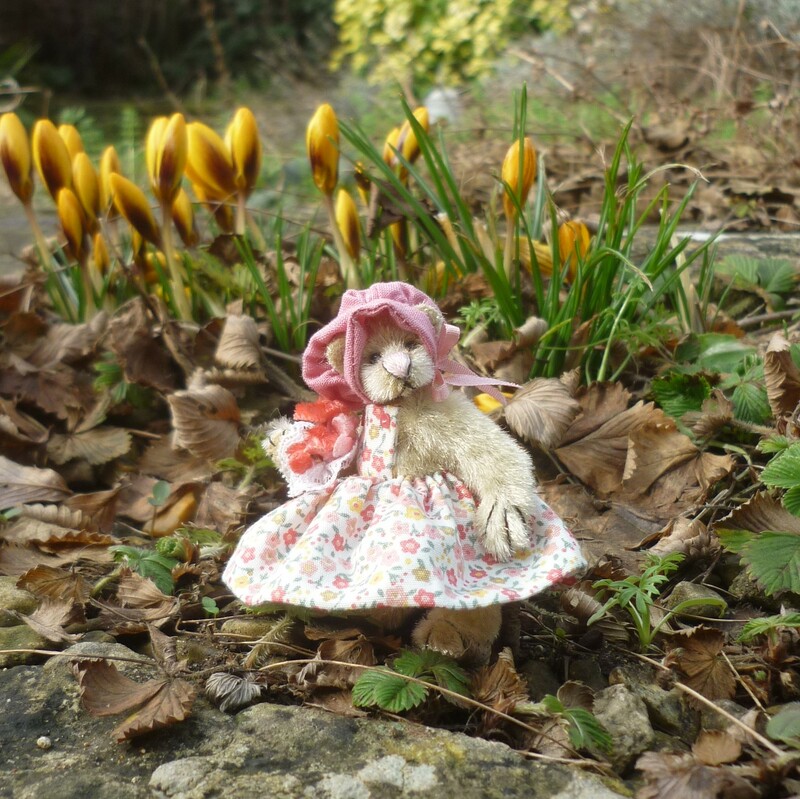 Henrietta is a tiny plush bear holding a posy of vintage flowers. 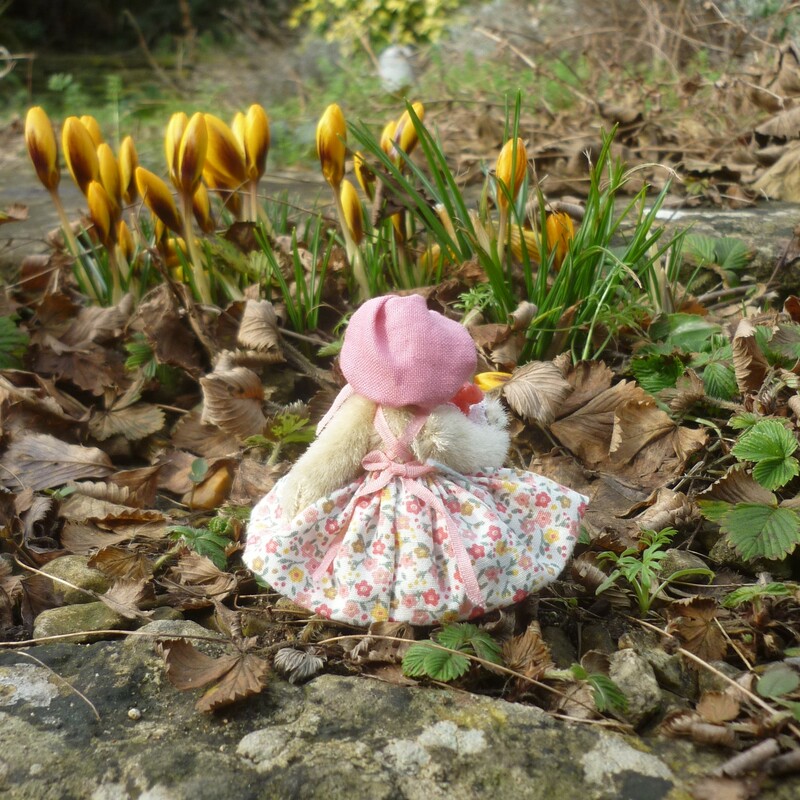 She wears a cotton flower print dress and a pink bonnet. 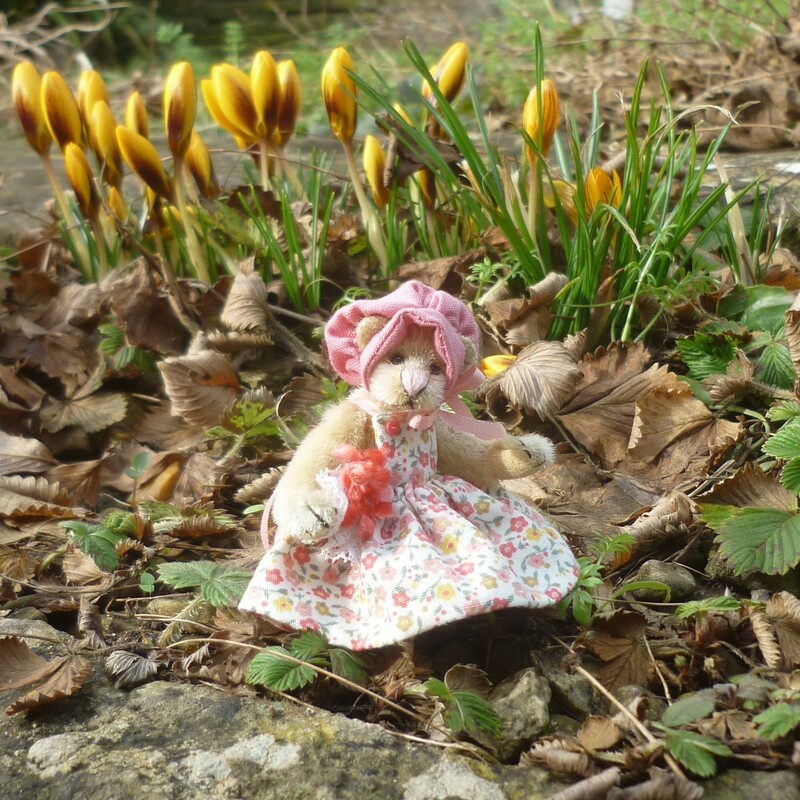 Although this bear is secondary market, it is in mint condition.